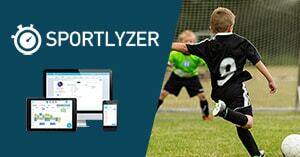 Divide your club members into training groups on Sportlyzer to simplify your membership management. Navigate to the "Groups"-page to start. Click on "Add group", enter the group name and save. Choose if the group is accepting new members. By turning this option on, all people visiting your club’s profile on Club Finder will know that it’s possible to join the group. Also, group workouts of this group will be visible on the calendar widget. Turning off the group’s visibility will remove this group from your club’s profile and from the calendar widget. Read more about the widgets from here. Set up a weekly training schedule for this group so all your team members and possible new athletes could get a nice overview of training times. To start, click on “Add plan” on the right. Choose the period for which you wish to create a schedule. Enter the day, start time, sports discipline, duration, location and coaches of the workout. Although you can type a new location to the location field as well, we recommend you to create all locations in the club settings (an address can also be attached to that specific location) and then choose the right one from the dropdown menu. Click on "+ Add workout" to add another workout to that plan. If you wish to finish a schedule, then click on Edit on the existing plan and continue with "End Plan".